E-learning networks are used by academic institutions to support synchronous and asynchronous delivery of online courses and programs. An e-learning network supports a wide range of applications and services and facilitates access to diverse e-learning implementations including virtual laboratory (V-lab) environments, knowledge repositories, storage area networks (SANs), and content delivery networks (CDNs), as well as metropolitan, regional, and international research and education configurations. A systems development life cycle (SDLC) methodology enables academic institutions to design and develop e-learning networks that meet educational goals and objectives and provide access to current and next-generation research initiatives. 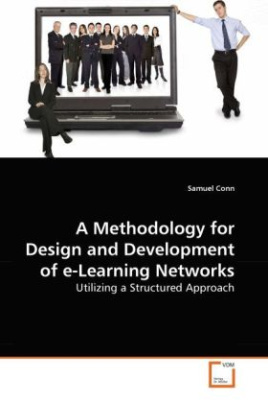 In this book, the author applied the SDLC methodology for design and development of an e-learning network based on findings of a chronological case study. The outcomes of this investigation demonstrate the role of the SDLC methodology as an enabler of design, development, and deployment of an e-learning network capable of meeting current and projected institutional goals and objectives.